Injection Molded – All Slate Frames. White or Tan Frames for Clear, Low E or GBG Doorglass. RSL Injection Molded Maintenance Free frames do not require finishing and retain their original color if unfinished. 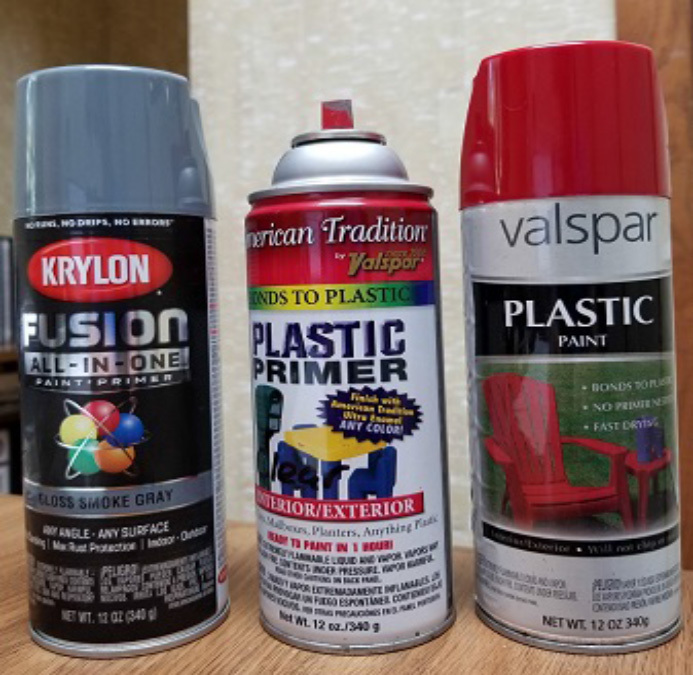 If finishing is desired, both primers and paints labeled “For Plastics” must be used. For staining, primers are also required and then use gels stains with two coats of clear polyurethane. Using paint thinners or similar chemicals will void warranty and lose effectiveness of frame to door and frame to glass sealants. Always install frames with screws to the inside of home. Do not over tighten screws (max 18-20 inch/lbs). RSL Maintenance Free Hurricane Impact frames meet & exceed IBC & IRC requirements for high velocity building materials: Approval #FL 15419. They have chemically welded mitres for strength and durability. They do not require finishing and will retain their original color if unfinished. No primer is needed. If finishing is desired, simply use latex paint, paint labeled “For Plastics” or gel stains followed by two topcoats of clear polyurethane. Always install frames with screws to the inside of home. Remove tabs from glass; place frame with glass in it on a clean flat assembly table; using tube supplied by RSL neatly apply 3/16″ bead of sealant around the perimeter of the frame. Lower door cut-out onto the frame on the table so that it presses down into the silicone; place inside frame into cut-out and snap frame halves together; install provided zinc coated screws into predrilled holes loosely; tighten with maximum 8-10 inch/lbs of torque and do not over tighten; snap (2) short caps on inside frame; install (2) longer caps by bowing them in the middle to complete assembly. RSL Injection Molded Maintenance Free Frames do not require finishing and retain their original color if unfinished. If finishing is desired, avoid using primers and apply two coats of exterior latex or polyurethane paint. For staining, also avoid primers and use gel stains with two coats of clear polyurethane. 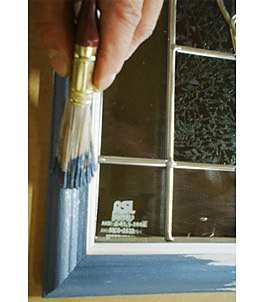 Using paint thinners or similar chemicals will void warranty and lose effectiveness of frame to door and frame to glass sealants. Always install frames with screws to the inside of home. Do not over tighten screws (max 18- 20 inch/lbs). Interior decorative glass is handcrafted, so bubbles and variations are not defects. Vinyl frames do not require finishing and will retain their original color if unfinished. No primer is needed. If finishing is desired, simply use latex paint, paint labeled “For Plastics” or gel stains followed by two topcoats of clear polyurethane. NOTE: Finishing doorlight frames a dark color may cause heat distortion. RSL strongly recommends finishing with light colors. If a storm door is used, it must be vented, otherwise the lifetime warranty is void.